I got some new deco tape lately, and I've been having fun with it. 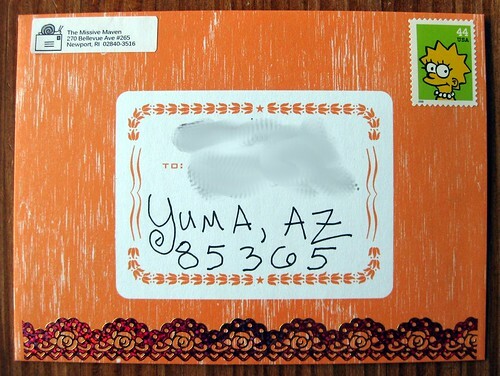 This is an envelope from the Hammerpress Correspondence Cards set from Chronicle Books. 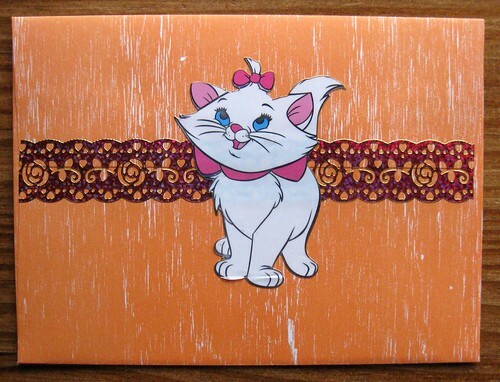 On the back I put a very large Marie the cat (Disney) sticker over the deco tape. The Marie stickers came to me in a Swap-Bot swap, so I can't tell you from whence they came, but I do think they're kinda cute, if possibly on the border of cutesy. "Everybody wants to be a cat" :) I love Marie. Even if it is cutesy.